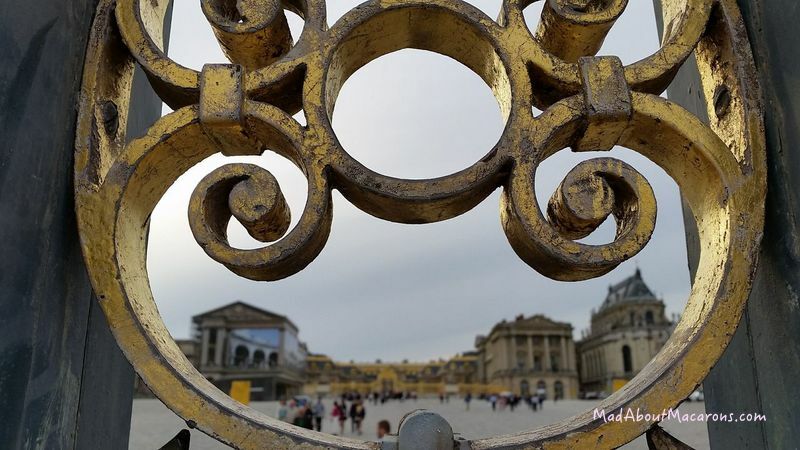 As I stood there thinking about asking for some bread – or dare I say, brioche (incidentally, Marie-Antoinette never said that) – at the massive gates to the Château de Versailles, I realised that we could eat macarons and pastries instead, just next door. Would you believe we live not far from Versailles and yet I’ve never visited La Cour des Senteurs? 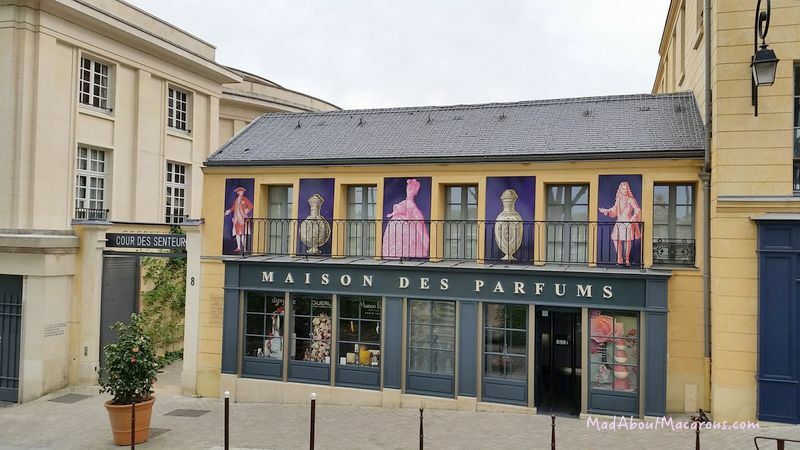 The courtyard has, however, not long been renovated and celebrates the history of perfume around the 18th Century. 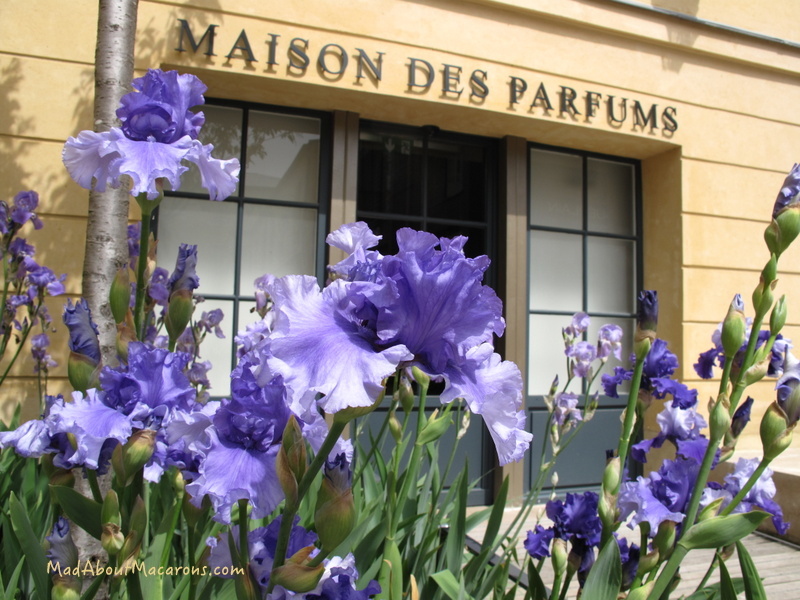 Thanks to my friend, Francis, I have now discovered a quiet sanctuary of fragrances just 100m meters away from one of the biggest tourists attractions in the world. I’m new to beautifully scented candles and now that I’ve discovered the wonderful fragrances (including jasmine, mimosa, rose, fig, and red berries) around the Diptyque boutique, they’re on my wish list. 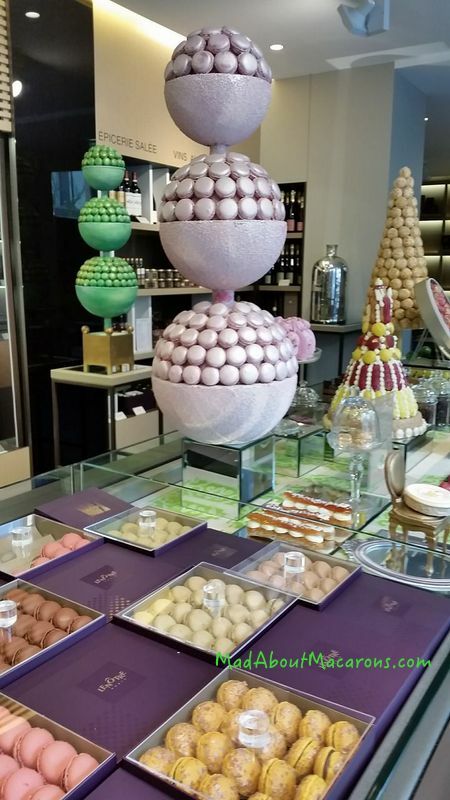 Suddenly my Ikea tea lights are disappointing… Or you could slip your hands into something comfortable at La Maison Fabre, known worldwide for its luxury gloves since opening in Millau since 1924. Fragrance houses also use spices, edible flowers and herbs – not just for their visual pleasure but a rich pleasure, marrying fragrance and taste. 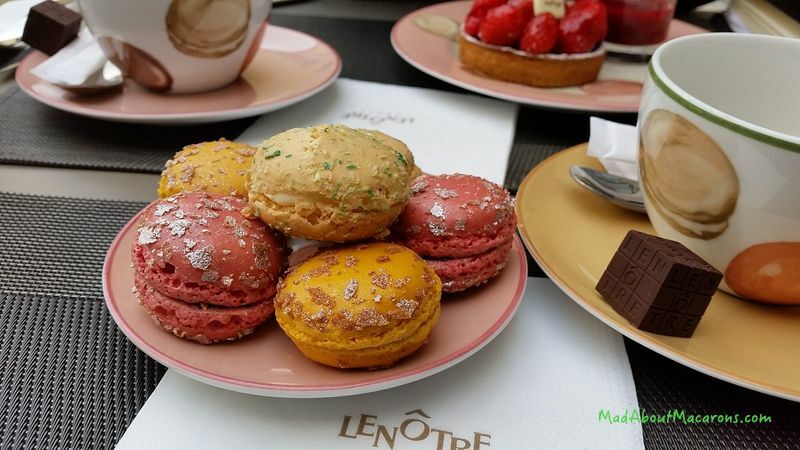 At the far end of the courtyard, tea and pâtisseries beckon as Lenôtre has a majestic tea salon, where you can eat outside (seats 30) or enjoy the classy interior (seats 20 for the tea salon, 40 for their restaurant for lunch). 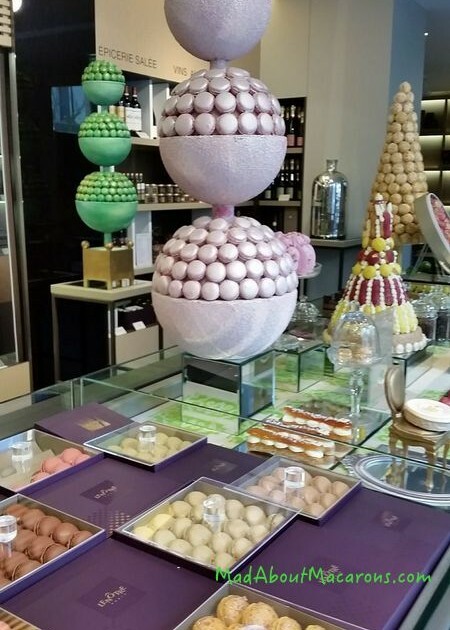 Their gourmet creations are inspired by the French gardens and the King’s Vegetable garden. 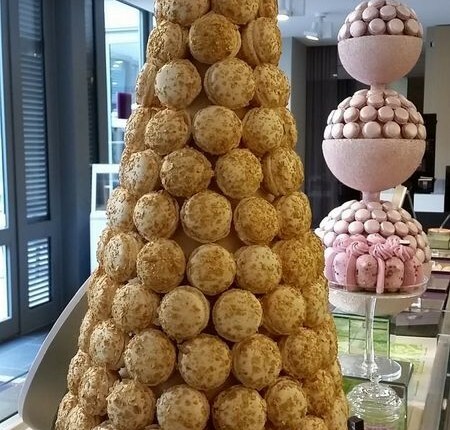 Pastry chef, Guy Krenzer, Meilleur Ouvrier de France 1988 and 1996, added Jasmine flower to the filling of this Saveur Royal gold tinted macaron inspired by jasmine-loving Marie-Antoinette. Alas, they’re so popular they were out of stock of these delicacies when I was there. Instead three delicate macaron flavours were worth ordering with tea: pina colada, strawberry-ginger (I loved the after-taste of the spicy ginger! ), and by far my favourite – chocolate-yuzu. 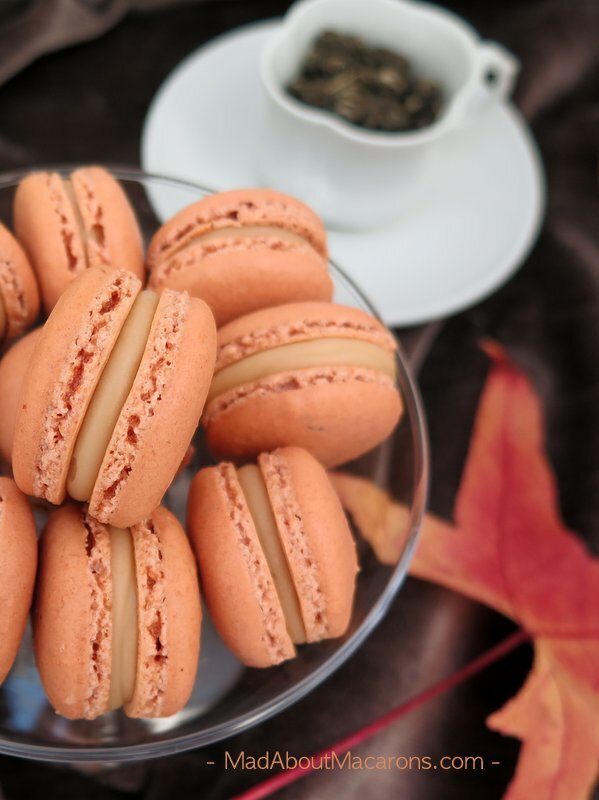 I have always ogled that lovely macaron porcelain tea-set but note that little cube of chocolate, the “L7G”. It has been in Lenôtre boutiques since September 2009 and as the name implies, it weighs 7 grams and partners dark chocolate with a coffee ganache. Thanks for that titbit, Francis. I couldn’t resist trying the Schuss, which is a signature dessert created by Gaston Lenôtre in 1968 for the Winter Olympic Games in Grenoble, where Jean-Claude Killy made France proud with 3 gold ski medals. This is a revisited verrine version of his classic with red fruits, filled with joconde sponge biscuit and a light fromage frais mousse and served with a beautifully tart red fruit coulis. I’m no skier, and flying downhill at high speed scares the living daylights out of me but I certainly couldn’t help enjoying its light freshness at full speed – Schhuuuusssss! 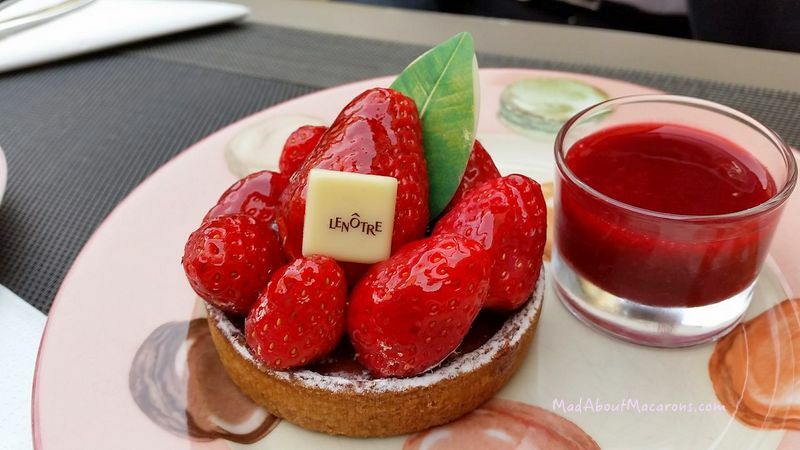 For something more classic to welcome spring and the French strawberry season, who can resist a tarte aux fraises? 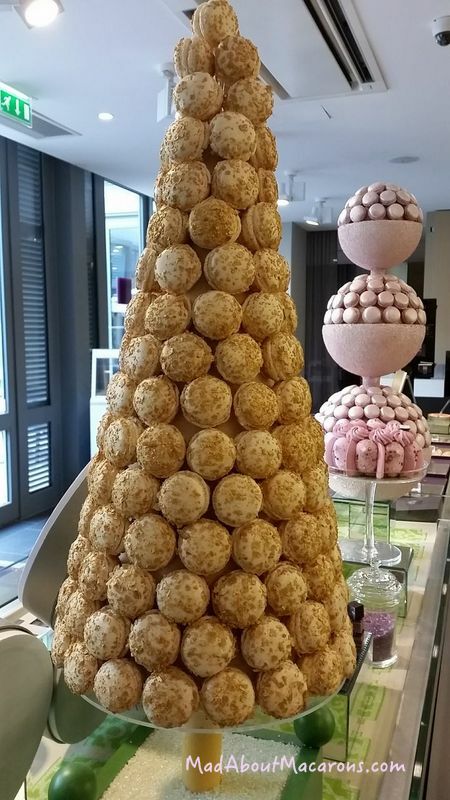 These are one of my favourite treats for goûter – and I have an easy recipe for it in Teatime in Paris! After teatime, take a stroll around the Cour des Senteurs garden. 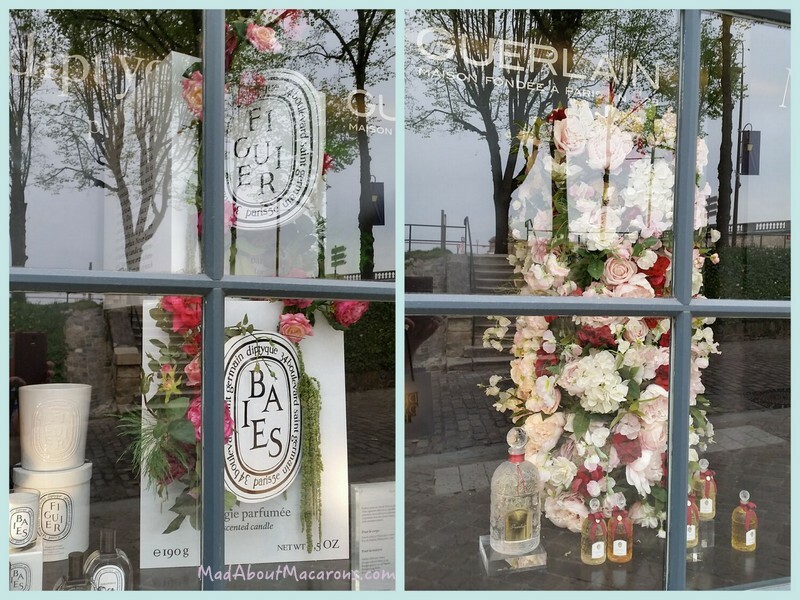 Plants are glass-cased like in an outdoor museum, complete with fragrance facts and perfumery notes. The walkway takes you to the Jeu de Paume Game Room (the predecessor of tennis, played by the court from 1686, now a French Revolution museum, open afternoons) and the Potager du Roi, or King’s Vegetable Garden. 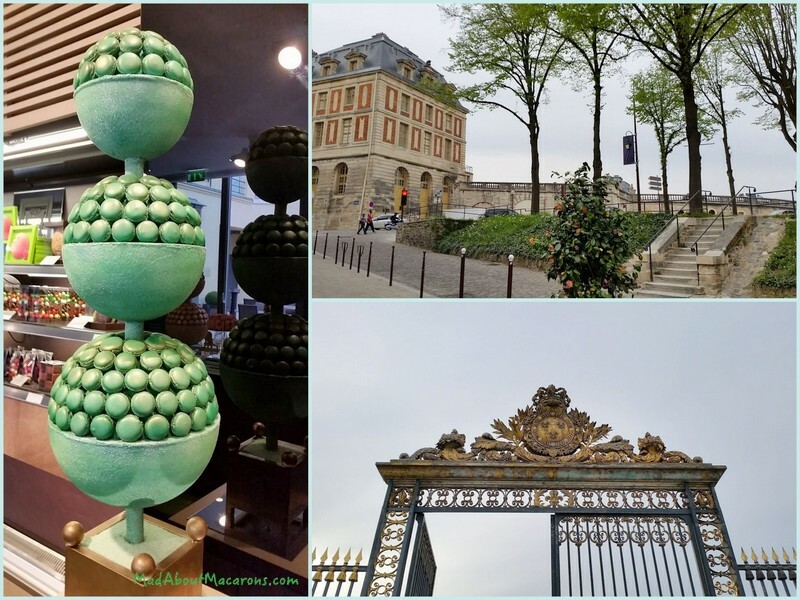 What a civilised teatime – although I still want to try these jasmine macarons, famous at La Cour des Senteurs and retrace Marie-Antoinette’s jasmine dance at the ball. In the meantime, let’s just continue with the macaron dance while watching their dainty feet form in front of the oven. Update 2018: Sadly, LeNôtre at this location is closed. 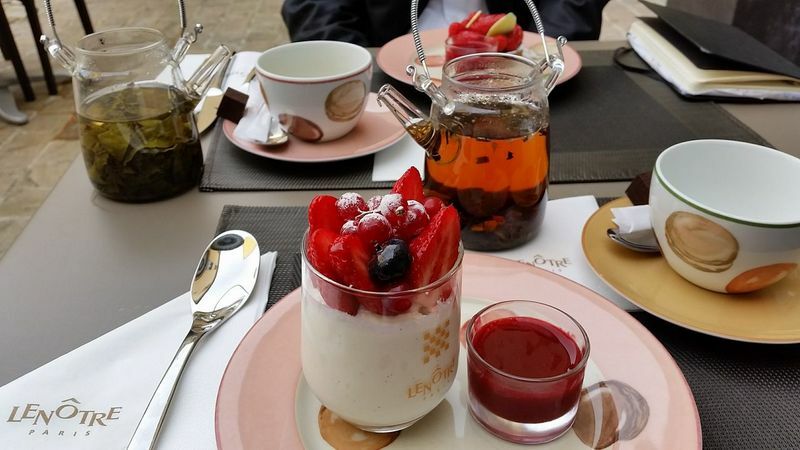 The nearest location is at Parly 2 shopping Mall in Le Chesnay and the nearest tearoom is the Pavillon LeNôtre at Champs-Elysées Clemenceau. Public Transport from Paris: RER C (commuter train) station Versailles Rive Gauche – 5 minutes walk. 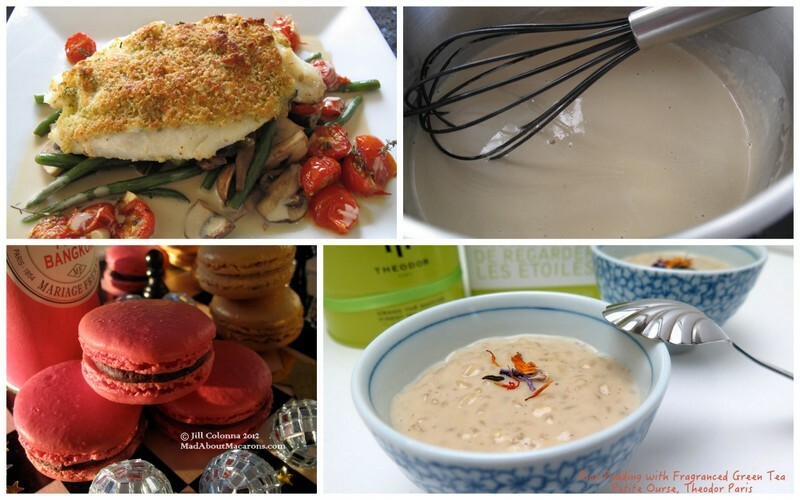 This article was featured as Blog Finds in French Entrée Magazine.